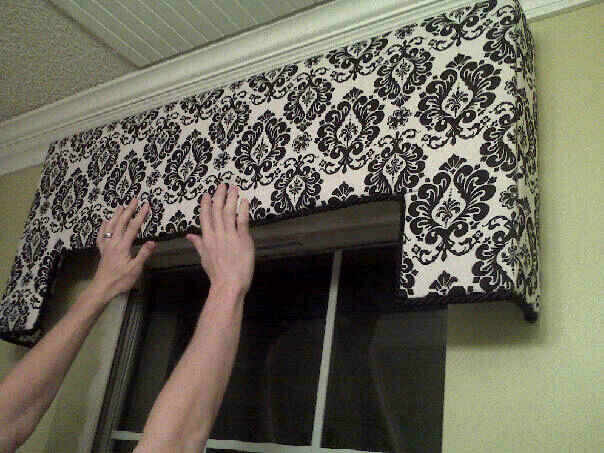 Brandi Nell the Southern Belle: New Cornice Boards for the Bedroom! We have been so busy lately! Between work, mini vacations, and upcoming wedding festivities - we have barely had time to do anything on the house. 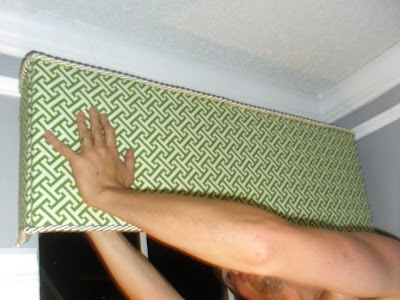 I have been giving the hubs a hard time about getting some projects done... finally last night we started working on the window treatments for the bedroom... cornice boards. 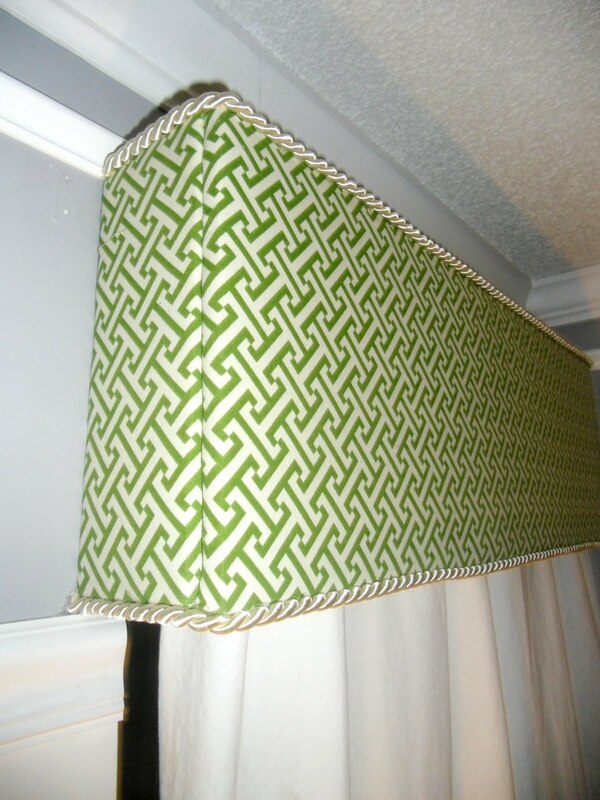 We did a cornice board for the bathroom last year and I loved the way it turned out. Ever since we finished this one, I have been itching to do more. I have been needing two for our bedroom. A few people have asked me how to do them. They are super easy. The windows looked SO naked. First I went and picked out my fabric at Forsyth Fabrics. If you live in Atlanta, or anywhere near Georgia - you NEED to go here. It was like fabric heaven (thanks Colleen for introducing me). They had so many great choices, it was really hard to pick one. 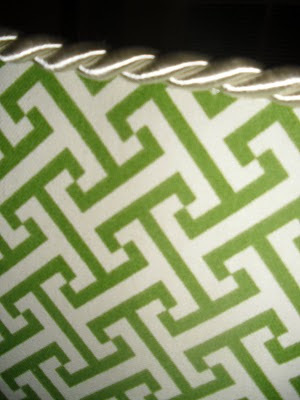 But, ultimately I decided on this gorgeous fabric. It goes so well with my quilted bedding! Okay, so measure your windows. You need to figure out how long you want your board to be, how tall you want it to be, and how far OUT you want it to stick out. NOTE: You will need to cut THREE board pieces: two side pieces (determined by how tall and how far out you want the cornice board to be) and then the front (determined by how long and tall you want the cornice board to be). I covered each piece individually and then later attached them together with brackets. You will first need to cover each board with batting. Be sure to stretch the batting tightly and have no lumps. 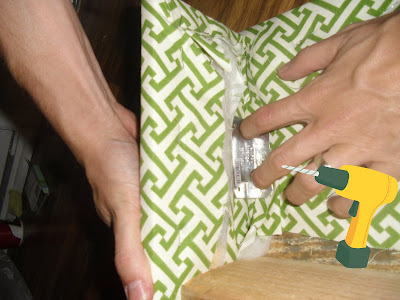 Wrap the corners like a present. 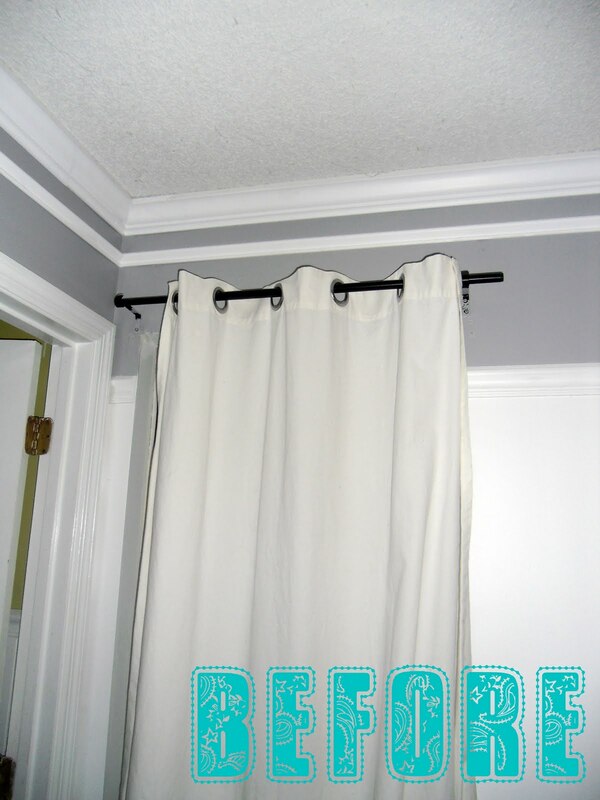 Keep this as clean and "lump-free" as possible. 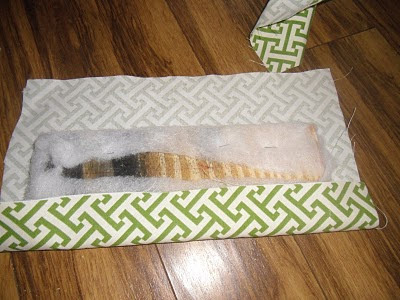 Now that you have the piece covered in batting, its time to cover it in fabric! 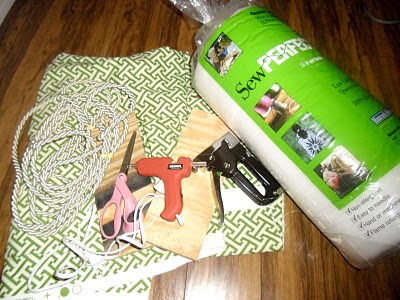 Just as you make the batting look neat, do the same (but even more carefully) with the fabric. Remember that cleat I told you about? Here is a pic to show you what it looks like. Its attached to the BACK of the main piece. 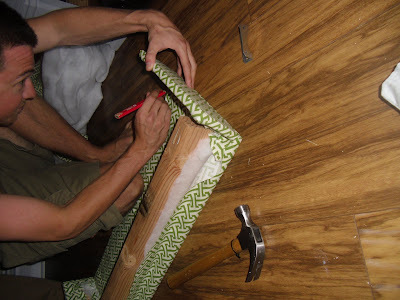 We nailed it into place, shooting the nail from the front through to the wood cleat (to make sure there is no nail sticking out of the fabric in the finished product). The cleat is about an inch lower than the top of the "front board," giving you room to wrap and attach the fabric. Wrap the two boards the exact same way you did the first one. Now, its time to attach the boards together. You are going to use ONE Simpson Strong Ties to attach the side of the board to the front. Make sure to mark where you want the screws to go. 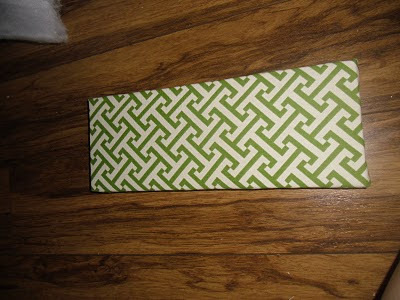 Then screw the two together using the Simpson Strong Tie. You MAY have to cut some of the fabric away if it is in the way of your Strong Tie. Do the exact same thing to the other side Once the two side pieces are attached to the front, you can add trim if you wish :) I simply used a glue gun to attach trim to the bottom and top. To hang your cornice board, you will use 2 more Simpson Strong Ties and screw them directly into the wall. You will screw the other sides of the Simpson Strong Ties into the cleat you have on the back of your "front board." *Side note: The hubs is not wearing a shirt at this point. OSHA would not approve, and I didn't think you would either (or maybe you would?) so I have cropped out his buffness. Now, you can stand back and admire your work!!! And we didn't have to wait weeks, we did these in two hours. Gotta love some DIY! As always, I welcome questions and comments. Please let me know if you are working on something you would like to share! Talk soon, friends! They look so good! I want to do those in my kitchen! Can I come?! 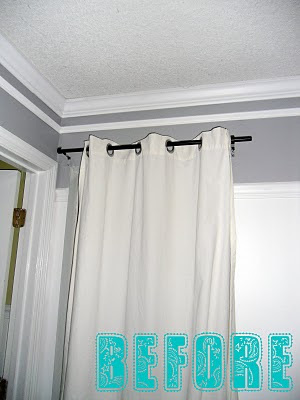 I need some for my bedroom, cute idea Brandi! I love love love them!!!!! 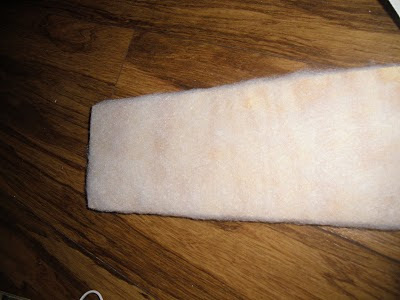 Do they have this fabric in tan and white??? it would be PERFECT in my NEW kitchen!!! Promise you and Kevin, Brian and Colleen will all have to come over for dinner soon!!!! I am painting 4 rooms this weekend... I might be crazy! Katie - I am not sure if they had THIS fabric in tan and white... but there is NO SHORTAGE of fabrics in there. I literally got lost in there for a minute. They have so much beautiful stuff. 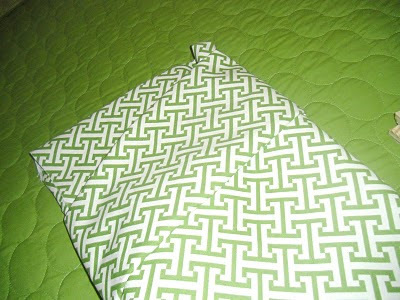 While I was there, I was mentally taking notes of every pillow, curtain, cushion I could make out of all of them. And they are very well priced. Looking forward to that invite ;) Can you make me tomato pie? Please tell this fabric is heavy weight and would be perfect for reupholstering my ugly-pink-yet-free wing back chairs I have in my living room. I've been searching for modern-y upholstery fabric and haven't been able to find much. Love them, Can't wait to see them. 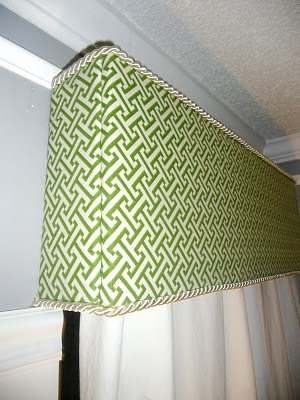 So glad you loved Forsyth Fabric. I was so happy Norma took me there, but I was overwhelmed by the amount of fabric in that store. But they have soooo much pretty stuff and then you just start cutting swatches. Before you know it you have like 20 swatches! You have a gift my friend. :) Hope we can have that sewing party soon. It wasn't extremely heavy - it would work well for a chair though... but trust me, they have TONS of the modern-y prints there. SO MANY CHOICES! Wow this is such a nice DIY job! 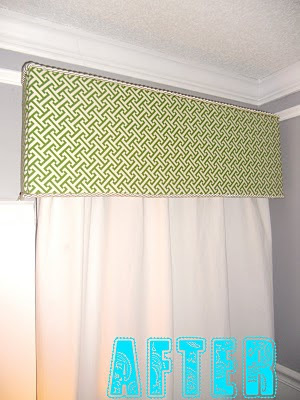 I love the fabric you picked, it looks fantastic in your serene bedroom! And I for one DO approve of male buffness haha! This is a project I may have to do! Love the look! You and Kev are so dang good! 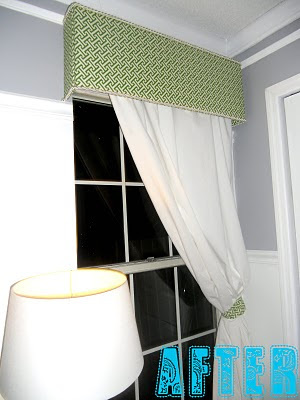 How did you add the curtain rod to the inside? Pressure rod? 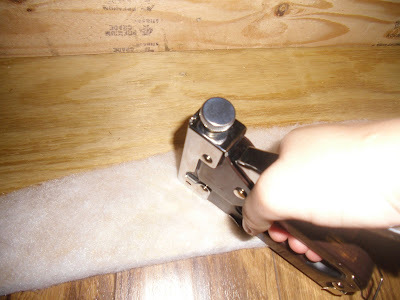 I use pink foam insulation boards. Very light weight and easy to cut. 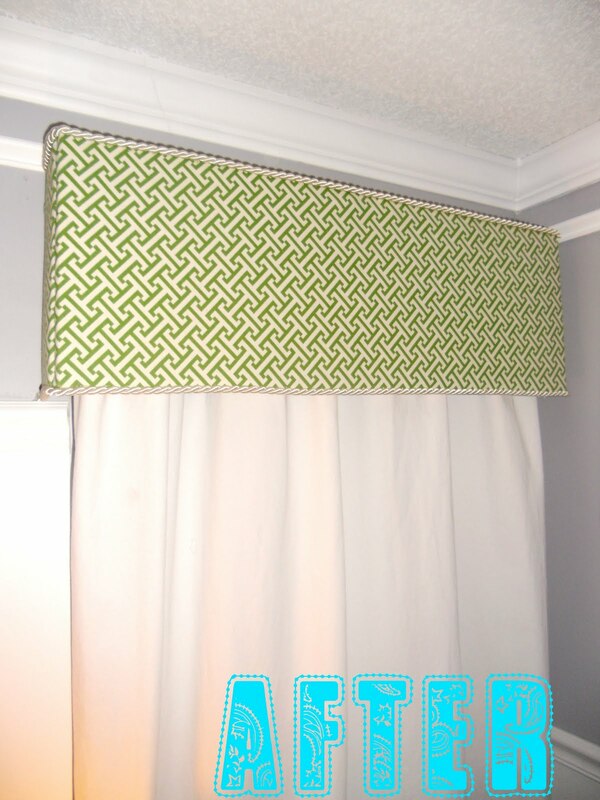 Mount them to wall using velcro strips. I've also seen cornices done using a cardboard box. Yours are lovely. Do u think it would still look nice without the detail to the top and bottom? Hi, i feel that i noticed you visited my blog so i came to return the want? .I'm trying to to find issues to improve my website!I guess its good enough to use a few of your ideas!! Thanks for sharing but I'm confused. How can the cleat be used to attach the cornice to the wall when it appears to be shallower than the side pieces? I guess I am really confused! It looks to me after reading all the instructions that you used wood. 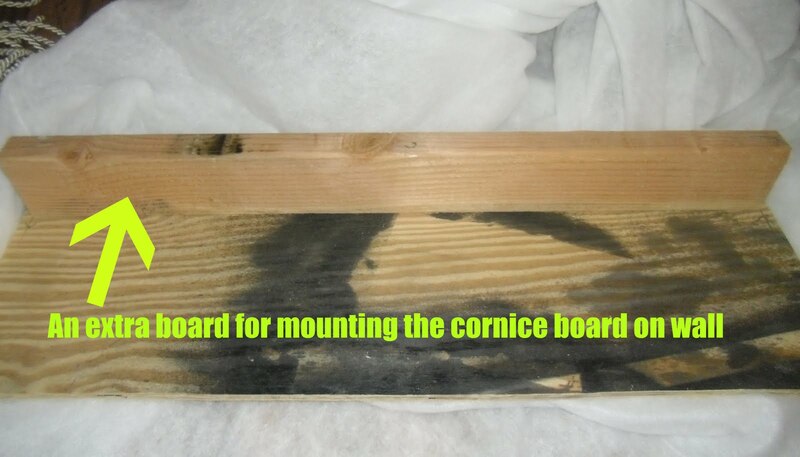 The caption at the beginning said foam core board. The foam core board is what I want to use but haven't quite figured out yet how to attach everything since it is not wood. any help?